Right off the bat, one noteworthy connection between these two characters is that both of their names are rendered only in katakana. This gives both the creator — as well as the reader — the opportunity to read into the names of the characters more, and to even derive multiple meanings from the same name, without having to settle on just one interpretation. Rei Hino’s name is actually a great example of this. You see, since Japanese lacks uppercase letters and doesn’t all that good in italics, one Japanese strategy for putting emphasis on a word is to write it in all katakana1 — the script usually reserved for sounds or words borrowed from other languages. For example, this strategy is often employed in media when robots, aliens, or other sorts of monsters are speaking. It gives the reader a sense of unease and draws attention to the text, the same way an English author may put something IN ALL CAPS. Granted that this is just the Chinese localization and don’t necessarily speak toward what the original creators intended, it turns out that there is some validity to this name choice for Ms. Ayanami. 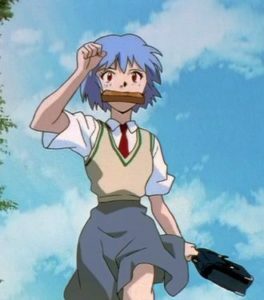 In a series of essays written by Hideaki Anno, director of Neon Genesis Evangelion,9 he reveals that her name was intended to be in reference to the number zero, probably in reference both to Unit-00, which she pilots, as well as (in)famous the World War II fighter plane. Interestingly enough, the World War II connection doesn’t end there. Mr. Anno goes on to further state that her last name, Ayanami, is in reference to the Imperial Japanese Navy’s Fubuki-class destroyer, the Ayanami.10 The ship itself doesn’t seem terribly remarkable so I’m not exactly sure why he chose to reference it, but if anyone has any ideas, I’d love to hear it! [Her name] comes from Rei Hino, of Sailor Moon. At the time, I put this in as a carrot to lure Iku (Kunihiko Ikuhara) to join my staff, but unfortunately he just stole that carrot and ran off with it. Hahaha. It’s hard to say how serious he’s being here about having actually tried to use the name to lure over famed Sailor Moon director Kunihiko Ikuhara,11 but it’s at least clear that the name was inspired by none other than our favorite soldier of flaming fury. Any other Rei’s out there we need to be worried about?? No matter how much anime I watch, manga I read, or names I may come across, it never fails to amaze me just how many additional layers of meaning the creators are able to conceal just in the names they give their characters. It’s both a wonderful extra level that the Japanese language provides, as well as a curse to translators who hope to bring these series to the Western world. It’s never ideal to go about renaming characters in translation, since you really should avoid changing proper nouns whenever possible. However, on the other side of the coin, I always feel that non-Japanese fans are missing out on a lot of fun side jokes hidden in characters’ names — and especially in those of the Youma and other monsters of the day! 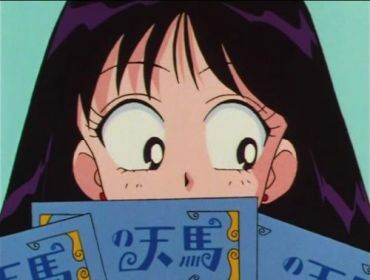 Now, turning the tables for a second, are there any character names that you believe were borrowed into Sailor Moon from another anime, manga, or the real world? I know of at least one, but I’d love to hear your guesses! ← What Happens When Google Translates Sailor Moon? Mr. Anno goes on to further state that her last name, Ayanami, is in reference to the Imperial Japanese Navy’s Fubuki-class destroyer, the Ayanami. The ship itself doesn’t seem terribly remarkable so I’m not exactly sure why he chose to reference it, but if anyone has any ideas, I’d love to hear it! Do you mean THAT ship or a ship in general? Well, as hubby told me once many of the Evangelion characters get their names from ships. As for why THAT ship and no other, sorry but I’m at a loss, too. That ship in particular, sorry! To my understanding, many (all?) of the major characters in Evangelion are named after ships in the Imperial Japanese Navy’s fleet. Alas, I’m not terribly familiar with the series. It could just be that they went to a list of ship names and chose ones that sounded good, rather than there being any important, historical connections. 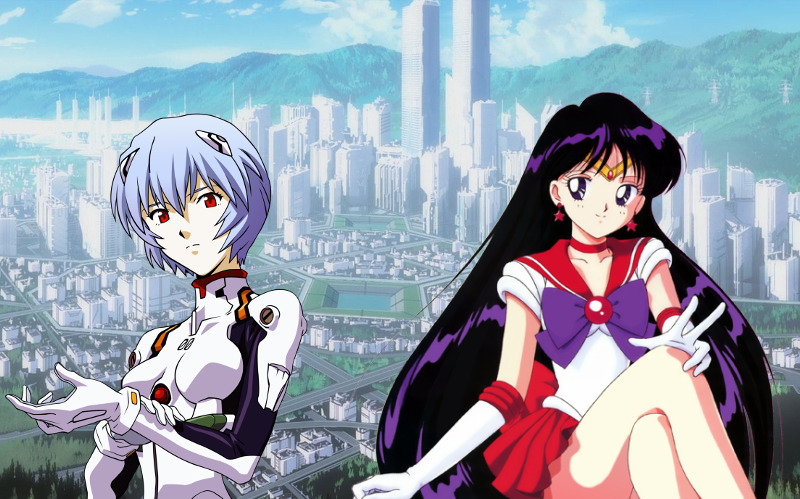 And I think Ayanami Rei’s design resembles Ami’s a bit because the director was a big fan of Mercury. That’s at least what hubby told me once. If I recall correctly, there are also a few shots where Misato is doing the famous Sailor Moon “Oshioki” pose!